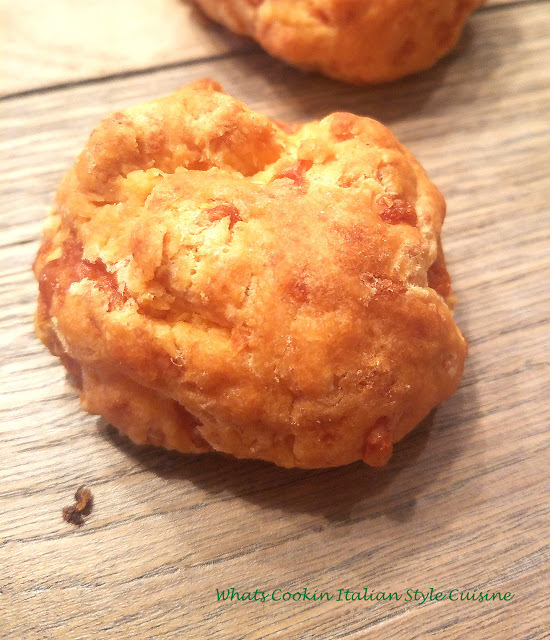 A great little pepperoni appetizer biscuit to serve your guests. It has a cheese middle and oh so delicious before any meal! I must warn you these are easy and so darn addicting! Make a double batch! When I make them my kids fight over the last one, so that tells you how good them are. I love cheese and pepperoni in a little appetizer. Provolone has a stronger taste than mozzarella so that's why I opted to add this kind of cheese. If you aren't fond of provolone cheese just use whatever you like. Also you can substitute, ham and swiss, beef and cheddar. I have done both combinations and they are both equally awesome! So remember to add the combinations you like in here and follow the basic recipe for the perfect appetizers for your guests. Great to take along to a barbecue or picnic, they are certain to fly off the plate and the recipe asked for time and time again. I love these little bites made with peppers, pepperoni or hot capicola ham and of course loads of cheese! Here is an easy appetizer that you can throw everything together in minutes for a tasty appetizer the gang will love! Great for any gathering and with any party you can make these ahead of time and freeze them! 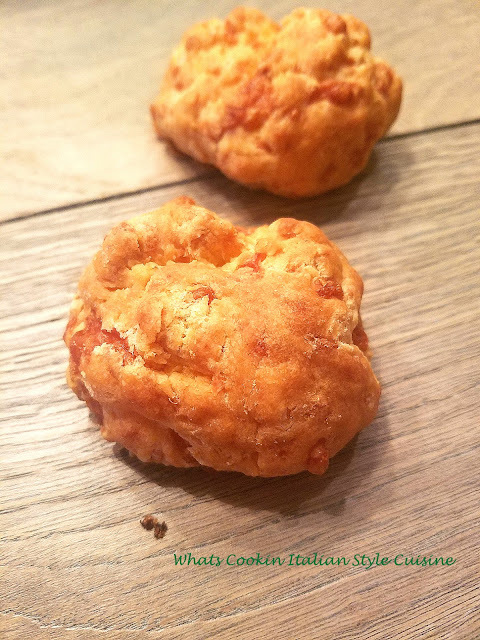 These are like having a mini bread calzone or meat pie all in one tasty little bite! Note: you can add any chopped vegetables you want around 1/4 cup. Optional: add chopped pepperoni, capicola ham or cooked sausage, crumbled bacon or prosciutto ( around 1/2 cup.) Suggested vegetables 1/4 cup, chopped tomatoes, peppers, olives or mushrooms, shredded zucchini or eggplant. You can use sharp cheddar, mix blends of cheese or anything else you like. Mix all the dry ingredients together. Cut in the butter and the grated plus shredded cheese with this dry mixture. Gently stir in the milk. Roll out. Place in mini muffin tins or drop by tablespoons. Sprinkle tops with more shredded cheese or grated cheese. Bake in preheated oven 375 degrees for 25 minutes. Great with a side of marinara to dip them in! They look so comforting and delicious! What a fun appetizer!! These would fly off the table!